From an early age Sylvester Rakah Allah sought to serve the Lord. Sylvester was born in Pakistan, a predominately Muslim nation, but his is a Christian family. His desire to serve led him to a Catholic Seminary and the priesthood. 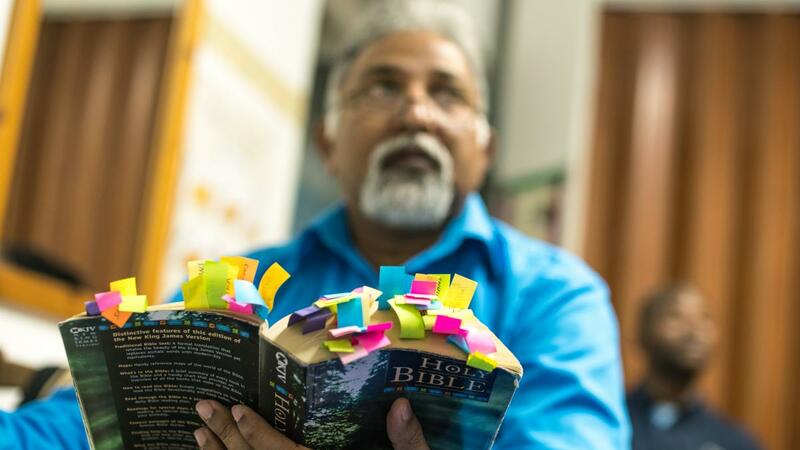 For some time, he believed he was truthfully serving God, but his personal study revealed many inconsistencies between what he read and what he was taught. Sylvester abandoned the priesthood and sought a simpler and more personal relationship with God. In his search he met and worshiped with a denominational group. Sylvester is a very capable speaker and teacher and soon began to serve the denominational group in Pakistan. Like so many others in the Middle East, Sylvester fled Pakistan in search of a safe haven, somewhere without daily bombings and terror attacks. The easiest and most direct route from Pakistan to Europe is through the small nation of Greece. So he began his trek through Turkey then crossed the sea into Greece. Also like so many other refugees, he failed to seek legal permission to enter the country. It was not long before the authorities arrested Sylvester and he was imprisoned. It was there, in prison, he met other truth seekers and to participate in weekly Bible studies led By Dino Tzanetos and Beni Leka. Dino and Beni regularly visit the Greek Federal prison to encourage the inmates and teach them the truth of God’s word. For the first time, Sylvester saw in the truth of salvation found in the Word of God. The truth he had been seeking was there, a truth never before revealed to him. After his release, he had two wishes. Immediately, he wanted to be baptized for the remissions of his sins. Secondly, he wanted to better prepare himself to help others see the truth of God’s Word. Today, Sylvester is a student at the Athens International Bible Institute. When he is not in the classroom he is out on the streets of Athens engaging people, ministering to homeless and hungry and sharing the truth he found with the large Pakistani community in Athens.